As I write this note, like many Bostonians, my emotions are still raw after the horrific Boston bombings. 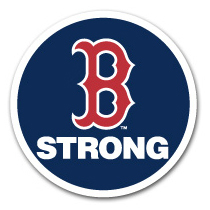 I am angry and sad but yet so very, very proud of Boston and her tough, enduring spirit. We should all be so proud of our Governor and Mayor, the incredible first responders, volunteers, and the entire medical community, and especially the many heroic law enforcement agencies (the Boston, State, Watertown, Transit and MIT police, the FBI, the US attorney's office, ATF and Homeland Security) who participated in the incredible investigation. Bostonians too must be complimented. We exhibited grace under fire and while the terrorists wanted to instill fear in our hearts, it only served to bring out the "best" of our humanity. I believe now we can all agree how tenuous life is and how small our world really is. We all have connections and stories from those we know close to home and across the state - one whose sister-in-law was shouted at to get down and spent much of the night lying on her kitchen floor listening to the gunshots; and another whose cousin photographed the captured attacker just 6 minutes before the bombs exploded. Even though this was such a horrific attack, may we always remember that there are many good people in this world - many of whose spirit, courage and selfless acts brought us together as One Boston - Strong, United and Resilient!